Are you wondering if you might have a water leak in your Rowlett TX home? If that thought is gnawing away at you, then searching the Internet is a great way to learn more about potential water leaks in your home, the issues that they can cause and most importantly, the professionals who can locate and correct these leaks. And all of that research is going to point you to Flow Plumbing, the experts in leak detection in Rowlett TX with over 25 years of experience. Not only have the professionals at Flow Plumbing seen just about every type of leak that you can imagine, and fixed them as well, but they are also trained in the latest innovations in leak detection. So regardless of the leak or its location, we can find it quickly and get it fixed in a professional manner. There are two important difference between Flow Plumbing professionals and the other guys that you can find on the Internet. The first difference is the skill level of our plumbers and the second is the technology that we provide to our plumbers to help them work quickly and efficiently. Both of these items are critical to Flow Plumbing’s ability to provide exceptional service to our customers at a reasonable price. In addition, we provide the same in depth training and technologically advanced tools to our sewer leak repair professionals. So no matter what type of leak you think you might have, the professionals at Flow Pluming can find the leak and repair it. We offer all of our professional leak detection and plumbing services in Rowlett TX and throughout the Dallas-Ft. Worth Metroplex. In addition, we promise to treat your home with the care and respect it deserves as we carefully and efficiently locate any possible leaks and make any necessary repairs. And after the repair is completed, we will clean the area and leave it in better condition than when we arrived as part of our Flow ‘n Glow guarantee. Call us today to schedule service at your home or commercial property before the leak causes extensive damage to your property. Need Fast & Affordable Leak Detection in Rowlett? If your home is built on a concrete footer or “slab, then the thought of a water leak can be a nightmare. Homeowners picture numerous holes through the concrete floor, a huge mess and a huge bill. But the good news for homeowners is that Flow Plumbing specializes in leak detection under concrete slabs. We understand that if this type of leak goes undetected, it can cause major damage and be expensive to repair. That is why we continue to train our plumbers on the latest techniques and equipment used to detect and precisely locate slab leaks. If you notice that your water bill is increasing but you have no reason then you potentially have a slab leak. The faster you call the leak detection specialists at Flow Plumbing the faster you will know that your Rowlett TX home is leak free and safe from the potential damage caused by water under the slab. Other tips for spotting a slab leak? Because the pipes in your home are concealed in the walls, floors and ceilings of your home it can be difficult to know when there is a leak. But here are a few tips from the pro’s at Flow Plumbing to help you locate a potential water leak. If you notice any of these signs of a water leak in your home or commercial property in Rowlett TX, it is critical that you call the leak detection specialists at Flow Plumbing immediately. Any delay could mean more extensive and expensive damage to your property. Call now at 214-388-8838 to speak to a Flow Plumbing team member to schedule your appointment. How long will it take to find a leak? Without the tools and technology that we use at Flow Plumbing, it could take literally days to locate a water leak. But our trained plumbers can normally locate any leak in less than 2 hours. This efficient process is thanks to the latest equipment that we have on each of our service trucks and the continuous training that all of our plumbers receive. This expedient process is the best way that we can reduce the cost of your repair and the potential damage that might be needed during the repair process. If our leak detection professional does find a leak at your Rowlett TX home or business, he or she will provide you with a written estimate for the repair. When you agree to the guaranteed cost estimate, then repairs can begin immediately. In the case of a slab leak, you could be presented with multiple options for making the repair. Your options might include breaking up the concrete slab to make the repair or rerouting the piping around the damaged area. 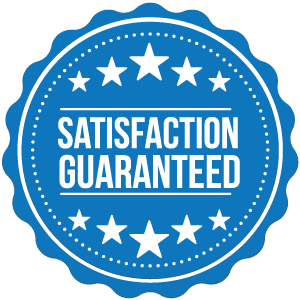 We give you multiple options when possible to be sure that the repair you choose is the best option to meet your budget and your needs because that is our final goal. And once the repairs are completed, our team will also clean the area around the repair. This is all part of our Flow ’n Glow Guarantee.